St. Andrew's church was honored during the weekend by a visit from Professor Adam, M.A , D.D., of Ormond College. His visit was much appreciated and his eloquent addresses and genial personality impressed everyone. Despite the fact of having been a victim of ptomaine poisoning during the week he undertook the journey from the city and the strenuous labor of speaking three times during his visit. 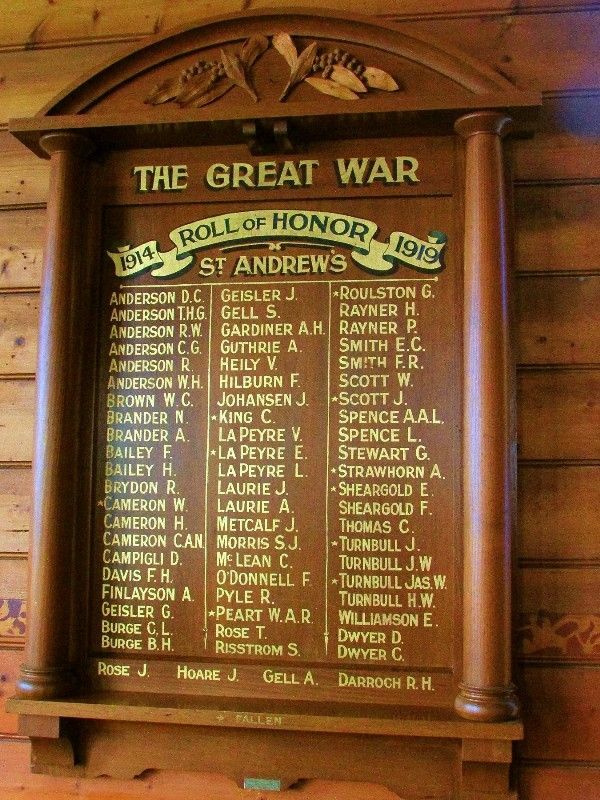 On Sunday afternoon the Roll of Honour was unveiled. It contained 57 names, and there are several more to be added. The Board is of beautiful blackwood, and has been kindly presented by Miss Gunn, of Melbourne. Murchison Advertiser and Murchison, Toolamba, Mooroopna and Dargalong Express (Vic), 20 December 1918.